This year's recommended accommodation is Residencia Civitas (Promotional Video). 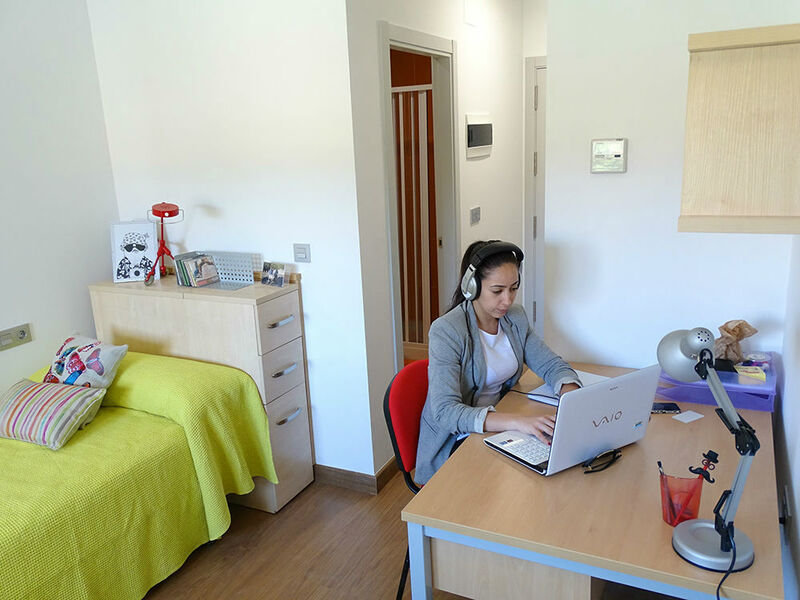 Civitas is a students dormitory with enough space for all Akademy attendees. If you would like to share a room, but you don't have a roommate yet, there's a wiki page for searching a roommate. You can search if someone is staying in the same dates than you or you can announce yourself. Each floor has a common room with where you can relax with other attendees, chatting or hacking together. My name is FULL_NAME and I want to make a reservation for Akademy 2017 congress on University of Almería. The airport bus stop is the number 188 (you can check the wait time). You need to take Line 30 (1,05 €). Be sure you are going back to city downtown since the bus pass twice going and coming from suburbs. Walk 10 minutes to Civitas (check the OpenStreetMap route). Estación Intermodal is the main public transport hub of Almería, where airport buses, trains and intercity buses arrive and depart. Walk 10 minutes OpenStreetMap Route. Should you prefer to stay in a different place, Almería has a wide range of hotels you can choose from. You can use sites such as Booking, TripAdvisor, Trivago to search for accommodation you like.